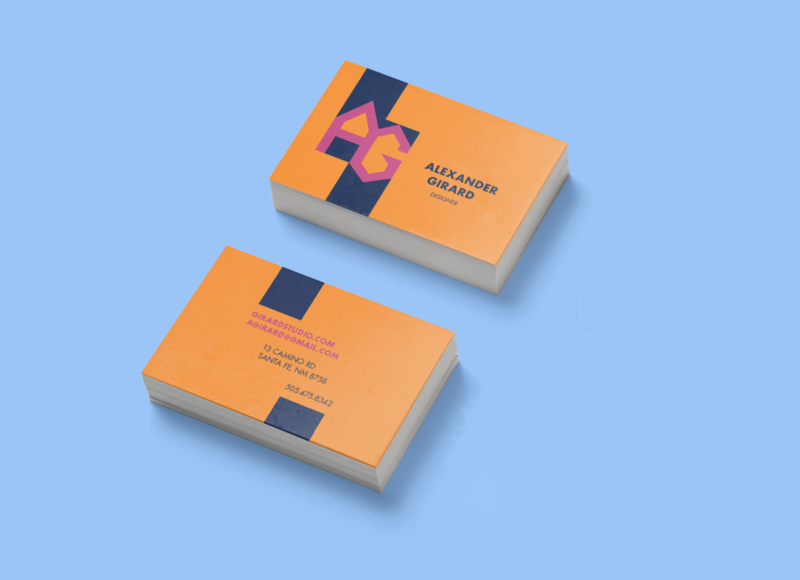 This rapid assignment was to design a 2–3 color monogram for a randomly assigned current or historical figure. 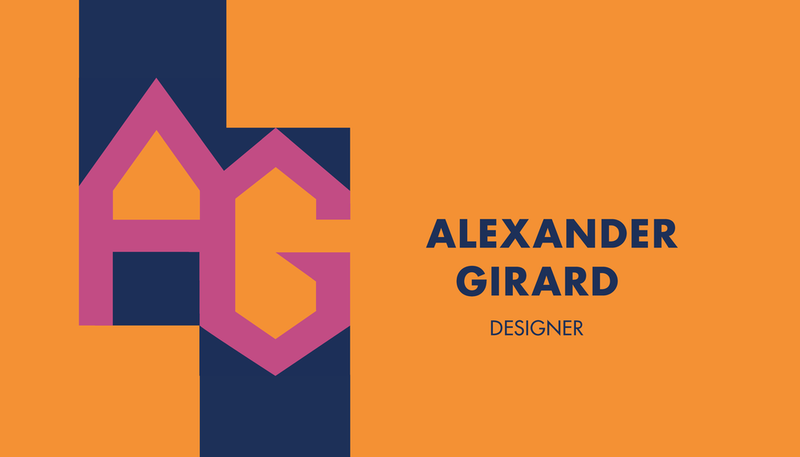 The monogram was to be applied to a business card for the person, in my case Architect and designer, Alexander Girard. 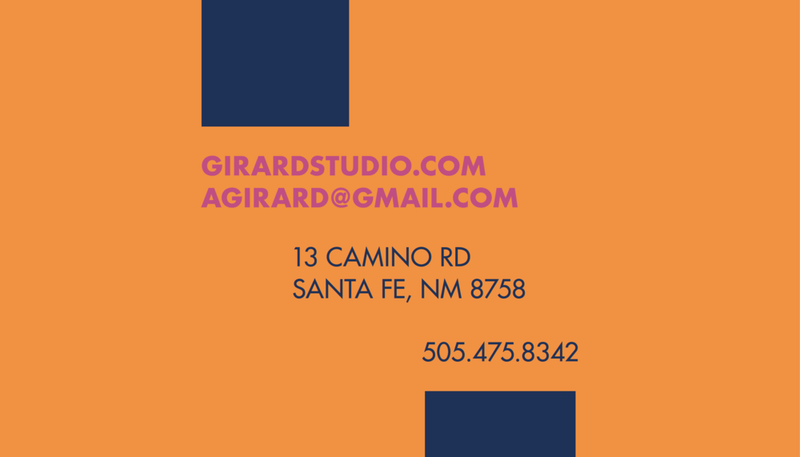 For my monogram and business card I drew inspiration from Girard's personally designed typeface and textile pattern designs. 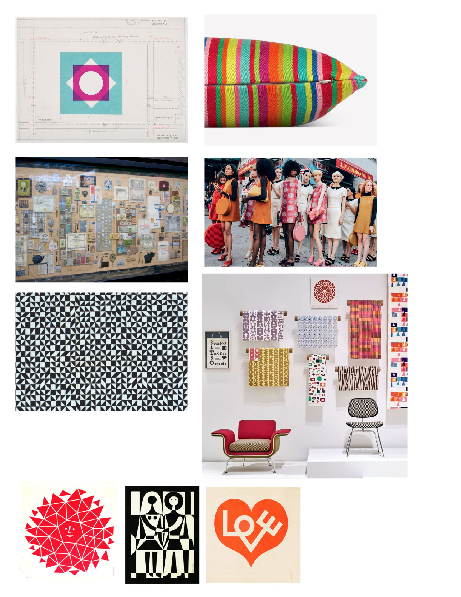 The purpose of this assignment was to gain experience in manipulating and constructing type, gain experience in matching typographic styles to (brand) tone, to investigate how color reinforces message, and also to explore the application of a mark over a simple system. 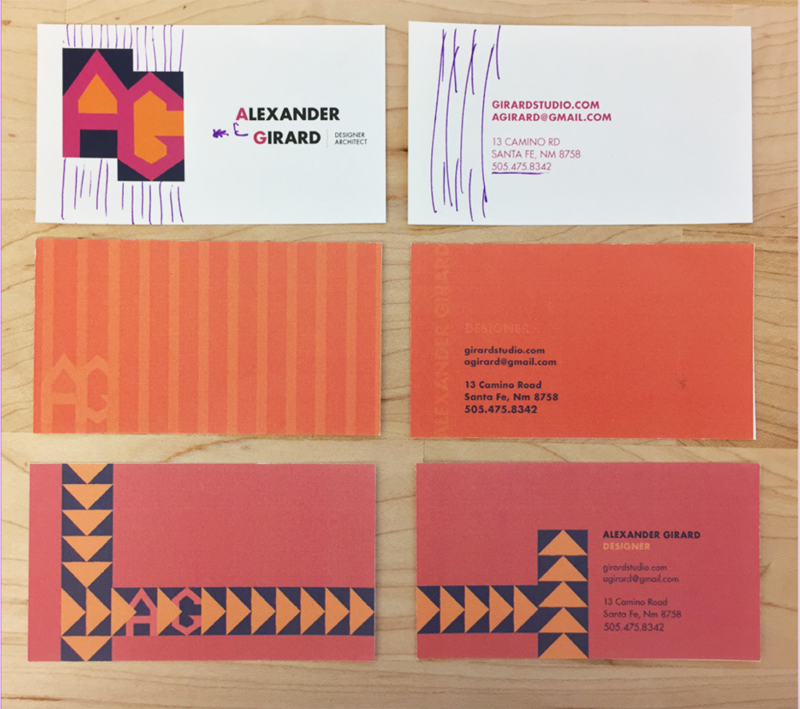 Once I realized I could use Girard’s own type designs to inspire my monogram, I quickly fell into my design. The biggest refinement was making the G angular to match the A so that both letters felt geometric, as if they were coming from the same pattern. The pattern aspect was enforced by overlapping the letters so that they shared a leg. 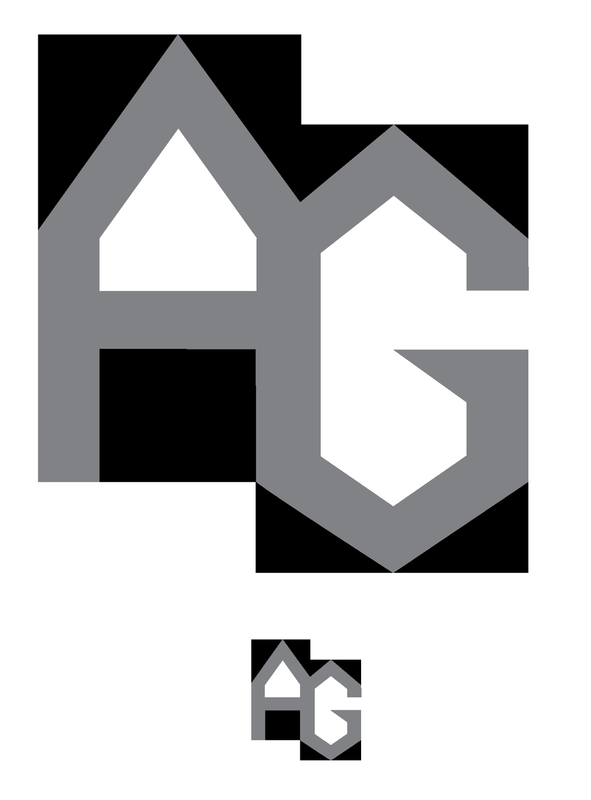 Other refinements to the letters I made included lengthening the arm of the G and raising it so that it matched the x height of the bar of the A, and also raising the height of the A. I felt that with all of these refinements intended to make the A and G work cohesively together as a monogram and a pattern, that although the letters were initially traced from Girard’s designs, they were now my own monogram design.